This beautiful 4.7-acre Lakeside home with approx 1400 feet of Lakefront. 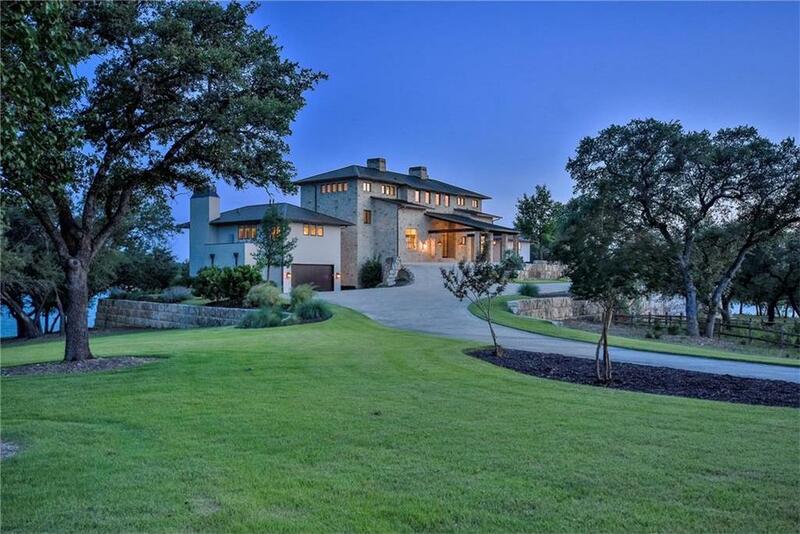 Located in guard gated Barton Creek Lakeside. Home is custom built using quarry cut stone. Has 2 boat docks with automatic boat lifts. One dock has a deck on top. Interior has milled custom cabinets. Has private water well. Spectacular views any direction.